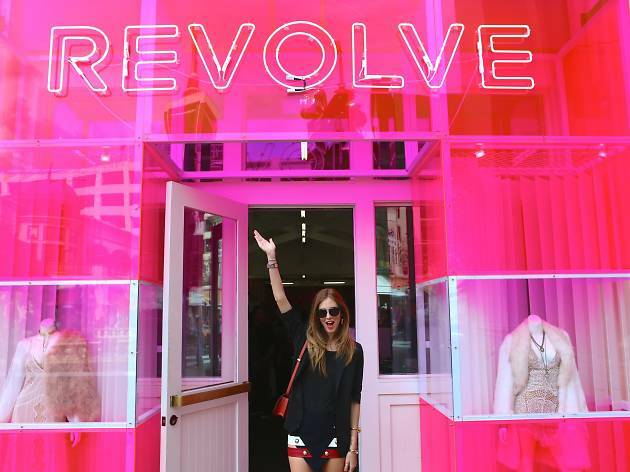 Just in time for holiday season, the online shopping site Revolve is setting up shop at the Grove for a two-month pop-up experience, featuring chic party wear pieces for the style-savvy girl. Join them for opening day (on Nov 1) and meet fashion blogger and shoe designer Chiara Ferragni of The Blonde Salad, while checking out statement pieces from her latest footwear collection. Just look for the bright neon pink store—bold is a running theme (and we love it).